A Primaris Interdiction Force is so overwhelmingly powerful, it can change the battle in your favor at any given moment. If you have it available in the best possible shape, that is. 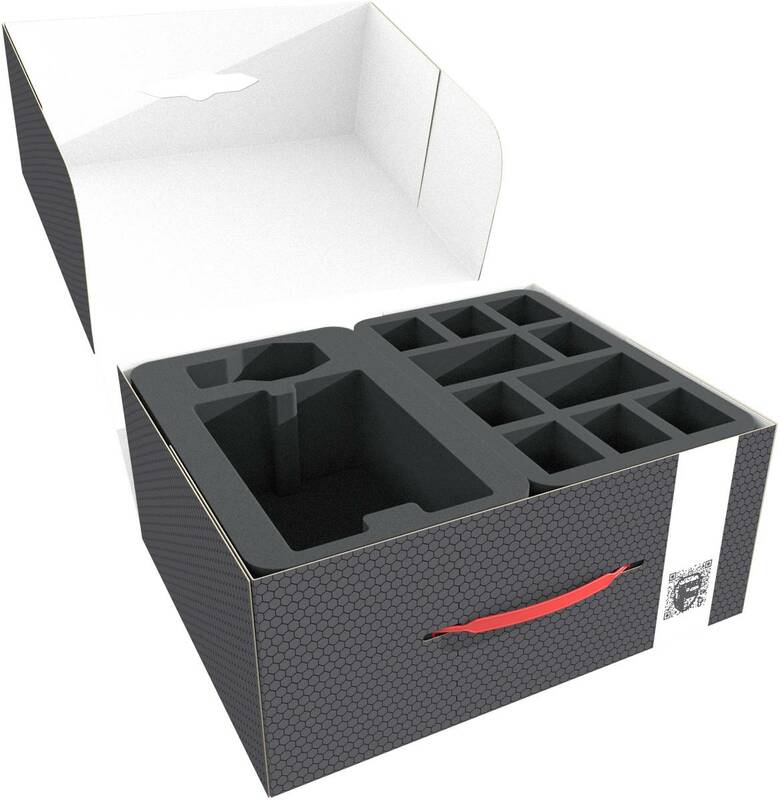 Our Storage Box M with matching foam trays provides you with an opportunity to keep your marvelous miniatures safe and sound. 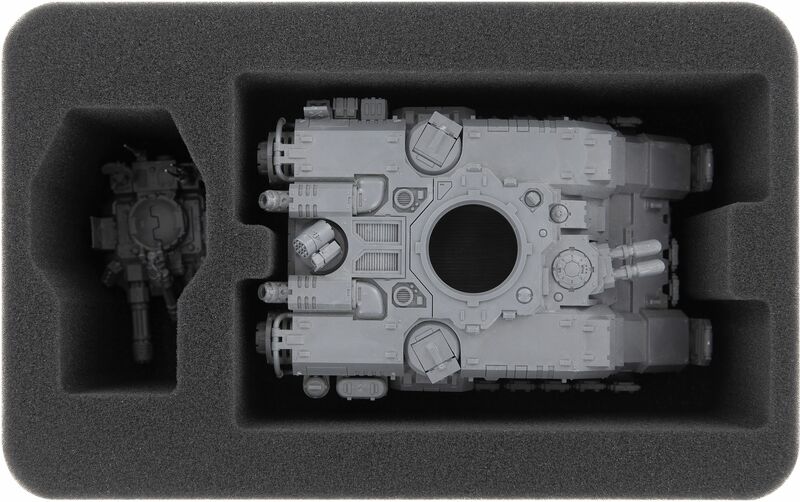 The foam tray for the Primaris Repulsor features two custom cut compartments – one for the body of the tank, and one for the turret. Gently caressed by our soft foam, the twin heavy bolter on the front and the the heavy onslaught gatling cannon on the turret remain just as intact as the radar arrays. All other units of the Primaris Interdiction Force – 1 Primaris Captain, 10 Primaris Intercessors, 10 Primaris Reivers, 3 Primaris Inceptors – can be sorted into the other three foam trays as you see fit. 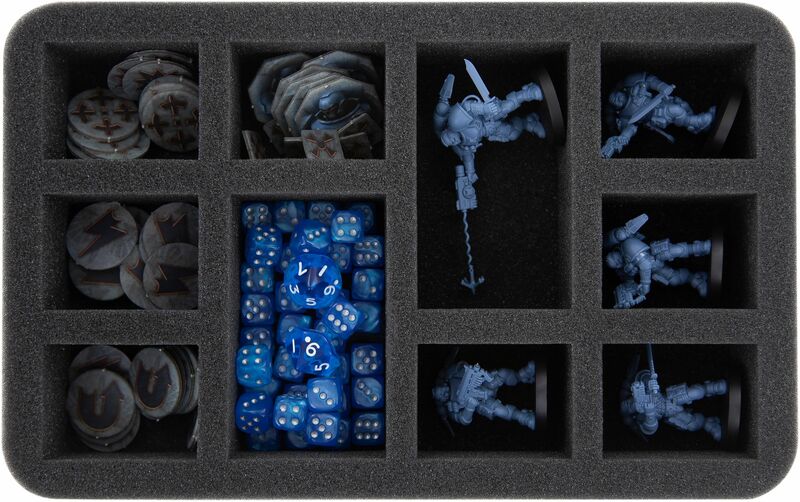 In order to accommodate larger Primaris Reiver miniatures, there are four larger compartments at your disposal. This way, you keep your miniatures organized and have them always within reach. Alternatively, you can also fit small game material like dice and tokens into the compartments. 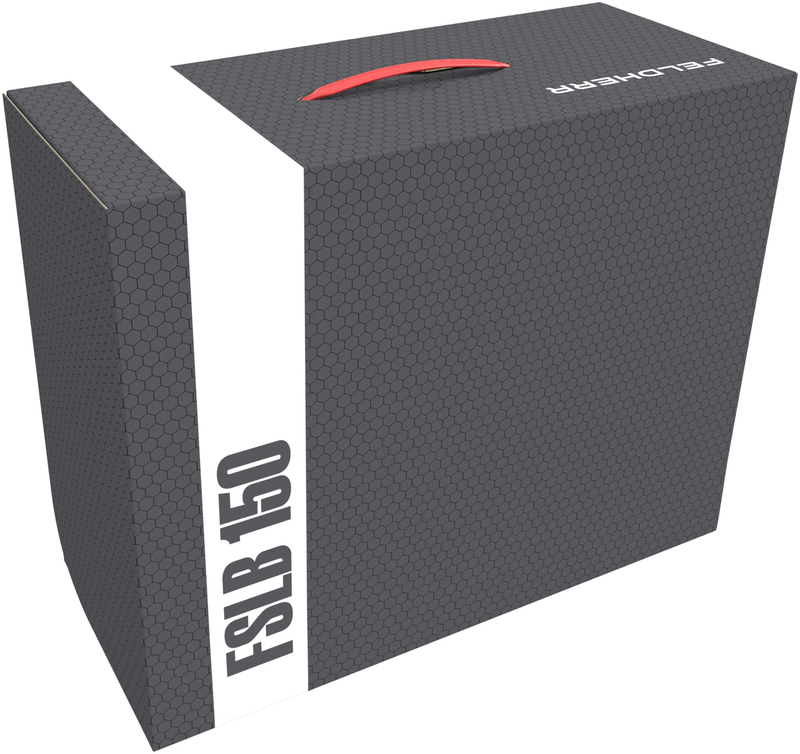 Of course, the velvety-soft foam not only protects against breaking parts, but also prevents your miniatures from getting scratched or incurring other types of damage to the surface. If you painted your Primaris Interdiction Force, you can thus be sure that your artwork is as safe as it gets. 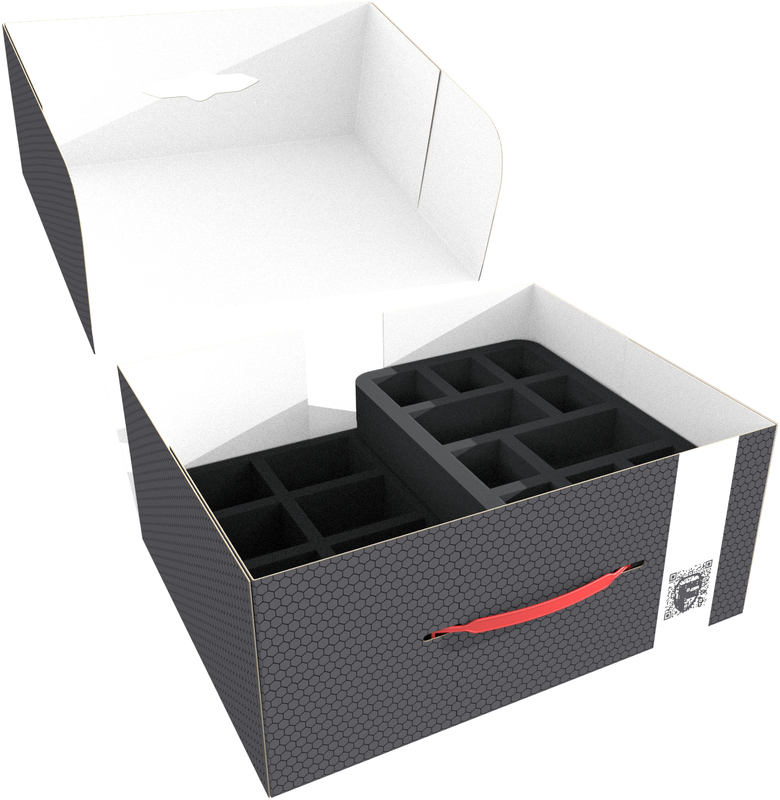 The stackable foam trays fit exactly into the storage box. Also included in the Set is a matching foam topper to ensure that nothing can fall out of the uppermost tray. 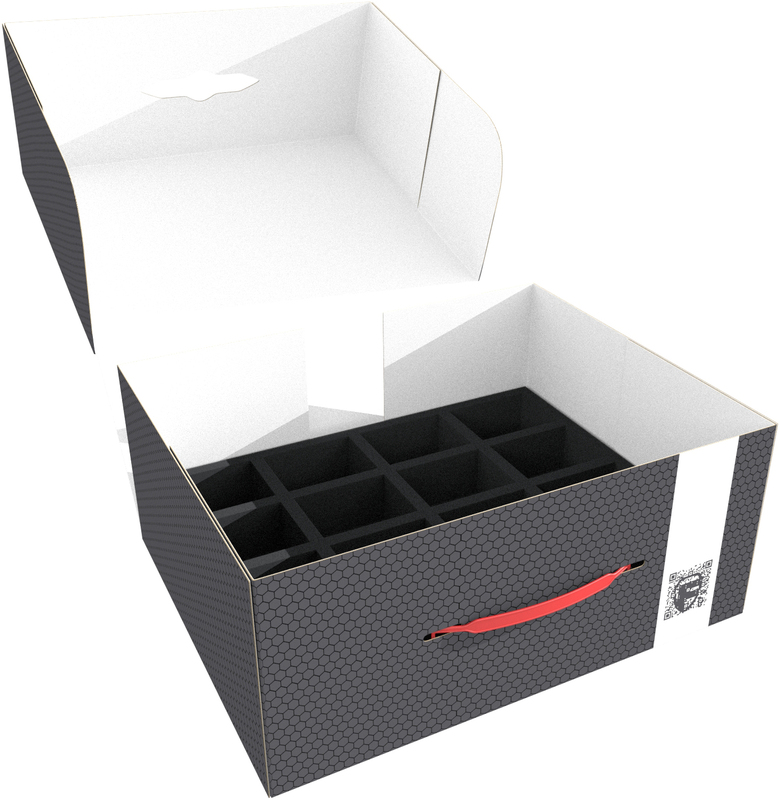 The storage box - made of coated, double-walled cardboard - is not only light but also particularly stable. With the plastic carrying handle it can also be transported comfortably.